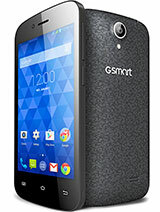 I am using gSmart S1205 since 3 years after a fair upgrade to my favorite GSmart i120. Now the touch screen is not responding hence can't able to use phone. My many important files are in it. Can any one please help retrive my phone or provide me the service centre particulars. I tried in Bangalore SP/SJP road. All said the perticular 'touch' is not available. gigabyte does not deserve a cent of our money! as a mobile booking and dispatch terminal for drivers. i think the murcury software must be writen into the hard reset procedure or unaffected by it. shame as i was trying to reprogram some with our taxi software for a customer. jojo, 09 Nov 2012did u get any help on fixing the mercury screen problem iv same problemmurcury is taxi software. the handset used to belong to a taxi company. murcry probable had the handsets made with there software incorperated into them. and into the hard reset procedure. i just want to know how to set language,, some one help me p'se!! I bought this phone from a friend, and it seems to be stuck on some sort of "Mercury" operating system. I've tried the hard reset using the volume up, camera and power button but to no avail. I then tried the other way, which is not even possible in this operating system. Please help. 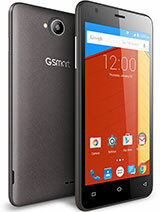 Hi, I use this phone for a year and would like to share with you my experience. the phone was bought in Prague. In general the phone is good, GPS work well without problem, I don't use all the features of the phone because I don't need, however it is good that its exist. The dual-sim use is very convenient. However the phone has some disadvantages. First of all, the screen is very gentle as a phone. The loudspeaker doesn't work well, you can speak and the other side will hear you but you cannot hear anything. Secondly, a few month ago the phone began to quench by itself. An addition, the are almost no accessories for the phone and this is frustrated. 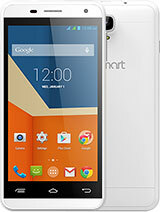 before buying this phone i would like to check if this phone has an internet allowance of gigabyte. 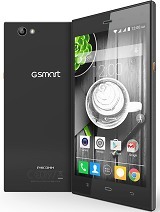 i need to repair the screen of my Gsmart s1205 very urgent.don't know how you can really help in repairing it. please kindly reply thru my mail:matil1011@gmail.com. FM Radio - M O N O ! VIDEO - VGA,30 fps; No videozoom! Dimitar, 07 Mar 2010Guys :)) I have connections and was able to get an engineering sample of the phone ;)))) P... moreCan you get the MT6516 Android / Linux source code from GigaByte? agoy, 18 Nov 2010Hello all. My location is Jeddah, Saudi Arabia, and I terribly want to purchase one. My 2-year... moreHi there, did you manage to buy the phone? I have one for sale, it's quite new, all features working fine, GPS with IGO8 running, protected screen, nice leather case, USB cord,charger and headphones included. I have Pay Pal account,if you agree,I cand check out the FeDexcadditional charges and I can sell it to you. Thanks, Marcel - ROMANIA.